Met up with Mei who became our food tour guide in Hong Kong (thank you!! 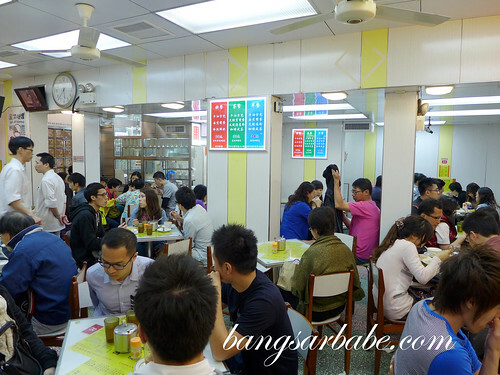 ), and she took rif and I various food places including Australia Dairy Co. for a Hong Kong char chan teng experience. Just like Tim Ho Wan, the turnover at Australia Dairy Co. is fast and furious. So order your food, eat it, cut the chit chat and off you go. Overstay your welcome and the staff will ask you to leave; some politely and others, not so. During my first visit, I had the egg white & milk custard (hot) and egg custard (cold), both silken smooth with a wobbly texture. I tried the cold milk pudding on my second visit, and found it quite good too; albeit less sweet. 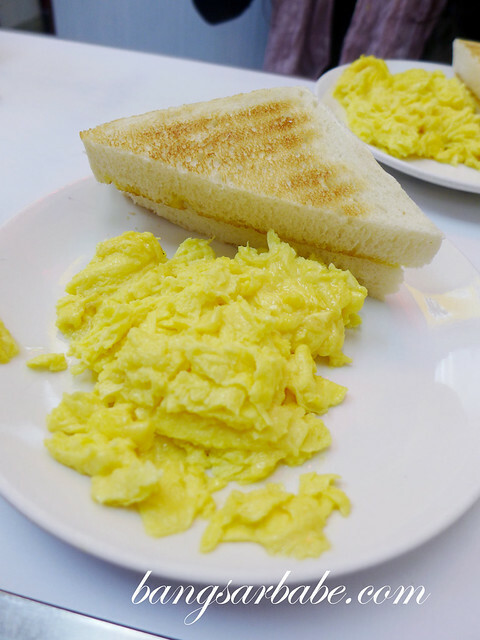 Also tasty was the scrambled egg with butter toast. The eggs were cooked with butter to give it richness and a lovely aroma. 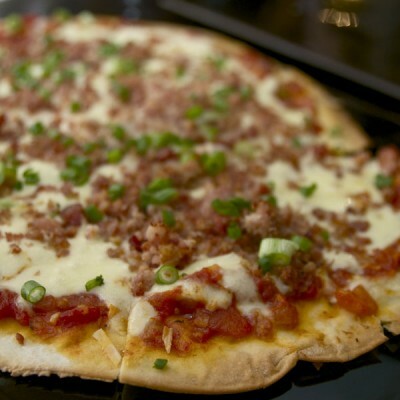 It was very well prepared – firm yet fluffy with a creamy centre. 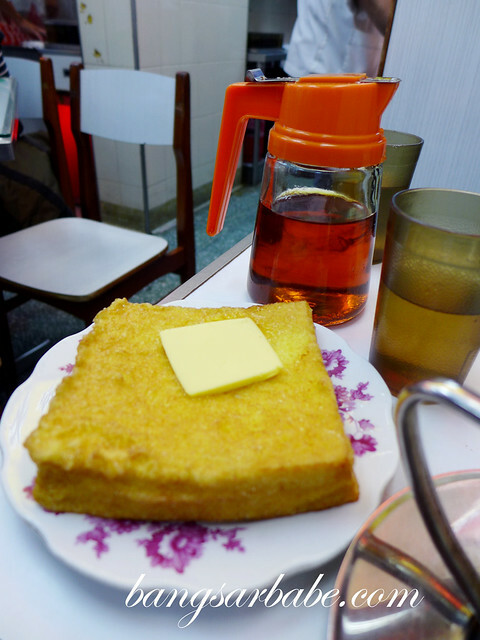 The French toast (HKD18) was also not bad. We ordered this because rif loves HK style French Toast. This paled in comparison to the scrambled egg, but was better than the ones we can find in KL. 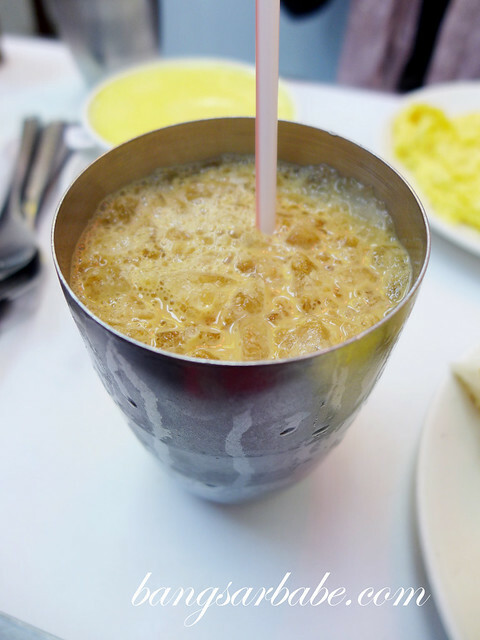 Milk tea to Hong Kong is like teh tarik to Malaysia. 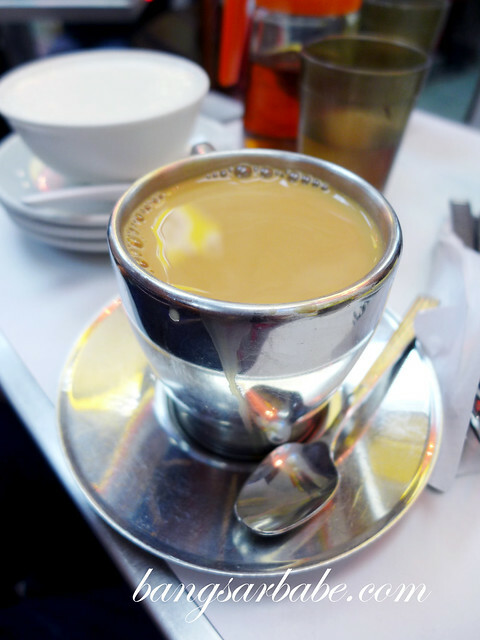 Only, the former is less sweet with a stronger tea flavour and a creamier aftertaste. The hot one comes without sugar, so you can add your own accordingly. I usually go without to enjoy the flavour of the tea. Two days later, I returned for breakfast by myself since both rif and Mei were at work. There was already a long queue when I got there before 9am but since I was dining solo, I didn’t have to wait. 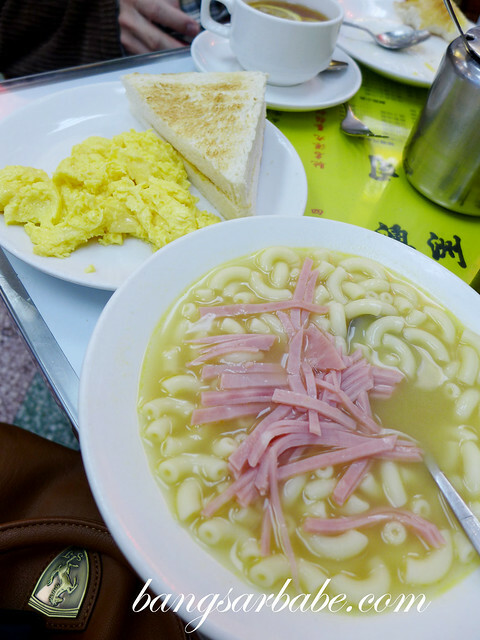 I was placed on a table with three strangers; all tucking into their bowl of macaroni and ham soup. Verdict: Come here for the scrambled egg and milk pudding, but don’t expect good service or service at all. If you’re taking the MTR, stop at Jordan and take Exit C2. I hope you’re not offended but why do you keep reminding us that you’re a big eater? I get a lot of emails from (new) readers asking me why am I a big eater/why am I greedy/why am I skinny…so I might as well write it in the post to minimize such emails. Hope that clarifies matters. I just came back from my HK trip and manage to check out the places as mentioned in your page 🙂 . Would like to thank you for the awesome write up and keep up the good job !!! And yeah, the scramble egg was awesome……….